Schnitzel, tinsel and more, Brü Craft & Wurst pulls out all the stops in authentic German Bier Hall style this New Year’s Eve. Featuring amenities, like a 5-hour premium open bar and a live DJ performance, ring in the New Year, exclaiming “Prostit Neujahr” which translates to “May the new year turn out well” and raise a pint to the year past, present and yet to come. Kicking off the Bavarian-American New Year’s Eve fest phenomenally, immerse yourself in the five-hour premium open bar and buffet-style hors d’oeuvres. Further the indulgence by taking to the dancefloor and party-rock around the clock to crowd-pleasing sets from an in-house DJ. Whether you’re slipping into your dancing shoes or sipping on a tall pint as midnight approaches, be sure to make the final moments of the year count by making your way to the dancefloor for a live DJ countdown, delivering you into the new year with bass-heavy dancing and a complimentary champagne toast. Get the authentic Brü experience by opting into a VIP ticket package which features amenities like exclusive table seating and bottle service options. 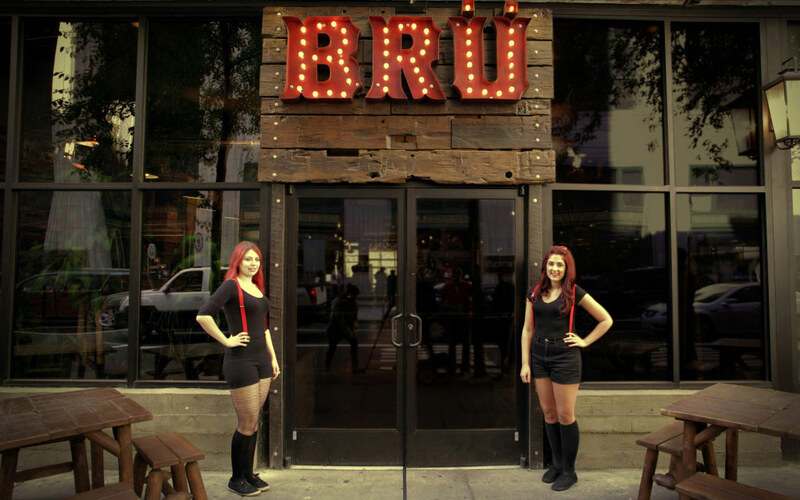 Serving up a copious selection of craft brews and credible German fare to brat-loving citydwellers, Brü Craft & Wurst is a Philadelphian favorite. From the atmosphere to the eats to the dangerously indulgent beer options, this destination takes Bavarian bars to the next level. Whether you score your mug from the suspender-sporting bartender or skip the line by making your way to the digitally interactive self-service Bier Wall which has been said to be a true toast to German engineering, at no point in the evening should you be spotted without a pint in your hand, taking full-advantage of Philadelphia’s cutting-edge yet classic, Brü Craft & Wurst. Prost! 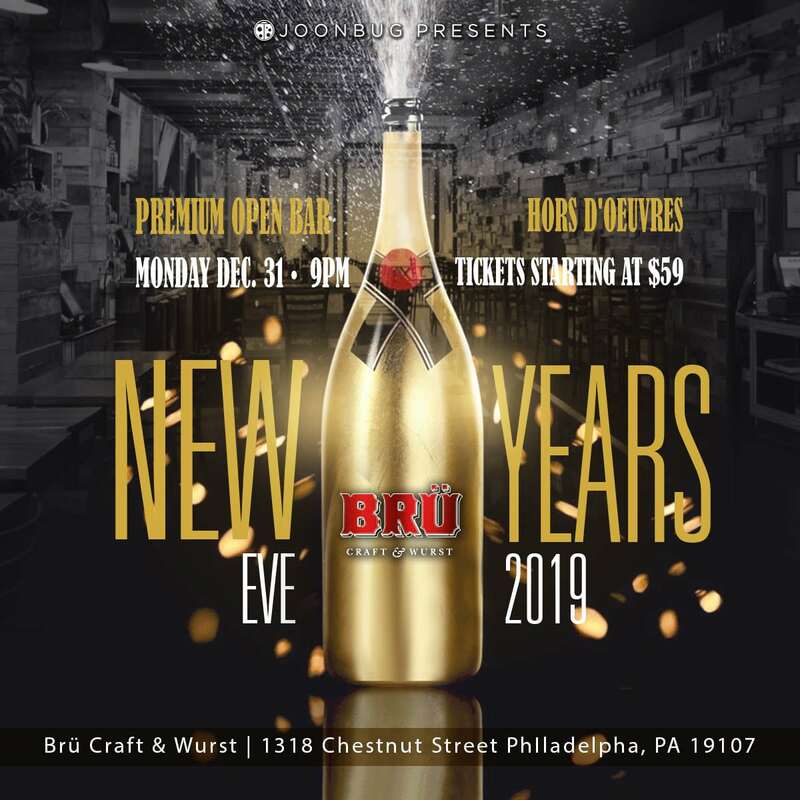 Make this New Year’s Eve one you’ll remember—or at least, want to remember—by ringing in the New Year at the incomparable Brü Craft & Wurst.